There is such a thing as “good debt,” and that includes your mortgage payments. However, this makes other debts, like your credit card debt, “bad,” and that’s exactly what you don’t want heading into the homebuying process. Interest rates increase for this kind of debt over time, and can make it harder for you to afford a home. Take care of these payments before you consider buying. Most experts suggest that you have at least 20 percent of the house’s purchase price saved as a down payment. You can certainly buy a house without that – and many people do – but there are plenty of good reasons to put down at least 20 percent. For starters, you’ll almost certainly avoid paying private mortgage insurance, or you won’t have to pay it for long. PMI is typically 1 to 2 percent of the value of the loan, split into monthly payments. It may not seem like much, but if it adds, say, $100 to your monthly mortgage payment, you can see why you’d like to avoid it. Whether this is your first, second or third time buying a home, you’re always better off using a Realtor. Having that expertise on your side can help you find the right place, broker a deal, sift through all the complicated paperwork and meet key deadlines. Before you begin your search, first shop around for an agent that you trust and enjoy working with. 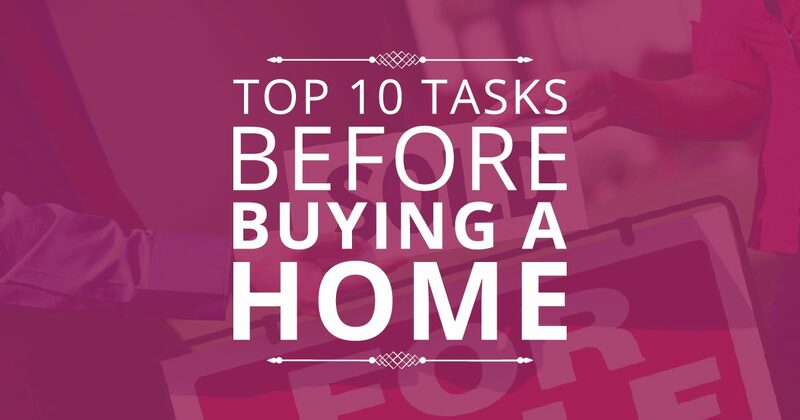 Going into the homebuying process with knowledge of your needs and wants will benefit you in several ways. Doing so will help you identify and prioritize features and help you eliminate homes that don’t meet your needs. As you begin shopping for a home, it may be necessary to re-evaluate your list based on the local market. Lean on your real estate agent when you’re unsure of whether your list meshes with your budget. Don’t forgo a home inspection. After your offer has been accepted, splurge for a home inspection. Spending even $500 can educate you about the house and help you decide if you really want to pay for necessary repairs. You can also leverage your offer depending on the results of the inspection report and make the seller financially responsible for all or some of the repairs.